When I first started playing a guitar, I had no idea what sound effects meant and what they did to your music. I simply played with mediocre skills and zero improvisations. As the years passed and I gained an insight into the world of guitar pedals, I discovered a whole new universe, where you could play with different pitches, create unique tones and define yourself as a musician. Nowadays there are so many pedals that it is hard to grasp all of them. You get mesmerized with choices and options. But with the proper amount of information, you can easily decide what is best suited for you. This article will describe different types of pedals on the market and hopefully help you to find the best guitar pedals. Have you ever thought about a guitar pedal of your dreams? If you are anything like me, you have probably come up with a lot of variations. When choosing a guitar pedal board, it is natural to be baffled and confused but luckily I am here to help you. The first question is why you need a guitar pedal board in the first place. The answer is simple: it is a platform for your pedals that provides support and security. Last thing you need is to lose your pedal on the stage during a performance. You should consider the size, power supply, the type of pedal board and cables. All of the above-mentioned features depend on your personal taste and preferences. But once you are finished with technical issues, you need to choose the effects that you are looking for in your pedals. If that is the case, follow me into the world of guitar pedals. Distortion is often defined as an alteration or modification of the sound wave, which produces a deformed tone. Musically, this is often used in order to create certain sound effects. Traditionally, distortion is created at the output of the device by clipping the signal, using its maximum capacity and “trimming off” the ends of the audio wave. Depending on the level of distortion, sounds can be “warm” or “dirty”. 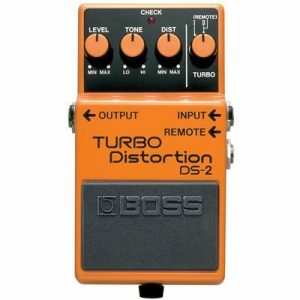 Distortion pedals work with the same principle. They change the shape of the wave in various ways without relying on the gain. While distortion pedals do intensify lower tones, the part, where it gets really crazy and lets the sound stand out, is the harmonic tone. It allows the musician to give a piercing and loud effect to the sounds otherwise barely detectable. Each type of distortion pedal has controls that let you adjust the level (which is basically a volume), tone and gain of the distortion. Overdrive is also a type of distortion. It focuses on increasing gain at specific outputs. The main aim of overdrive is to imitate the effect of amp tubes that are used with their maximum capacity, generating high gain. Likewise, overdrive pedals tend to create mild sounds when you play softly, but as soon as you crank it up a notch, you will notice the lion hiding in those smooth tones. Don’t expect it to turn your world upside down though. Overdrive pedals create soft clip in sound waves, so the effect itself adds a mild, dynamic touch to your audio. It keeps the original timbre of the instrument to certain degree, but modifies the sound in a way that would be achieved with pure amplifier. So if you want to acquire distortion effect but you don’t want it to be too “wild” , overdrive pedal is exactly what you are looking for. 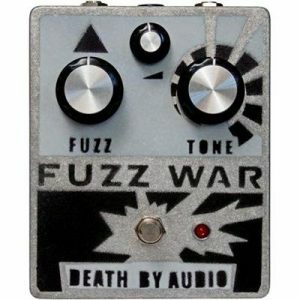 Fuzz pedal is yet another distortion pedal. It creates a warm, hazy but lively distortion, which gives more sustain to the sound. Even though fuzz is slightly more artificial than other audio effects, it lets you create your unique sound. If you love pure and clear sounds and you are looking for precision, you can skip over this section because fuzz is the opposite of those qualities. It creates rather heavy and sometimes unwanted dissonances. For this reason, musicians often use simple tones or chords, when working with fuzz pedals. Needless to say, that this pedal is very popular among heavy metal players. Even though it is hard to control due to its extreme dynamics, you can benefit greatly from its compressed rhythms if you use correct timing. Fuzz pedals can express outraging level of excitement and a thick, dense sound that is like no other. Delay is a sound effect (or a mixture of effects) which makes a recording of the piece you perform and plays it again after a while. The delayed audio can be played back several times or merged into the audio itself. This creates a reverberating sound-an echo. Most of the delay pedals have similar controls that generate multiple sound effects: time, level, feedback (and sometimes tap tempo). Time allows you to control the length between the repetitions of the signals, so you can choose when your delay is played back. Feedback determines the amount of delays you want to be generated, while level is generally a volume of the signal. Some delay pedals do not have the tap tempo, which deprives you of the opportunity to control rhythm and timing of each repeat. 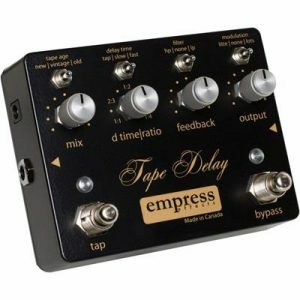 Delay pedals offer wide range of effects, most common being analog, digital and tape delays. Delay pedals will add a tinge of everything to your sound due to their versatile nature. Reverb is a sound effect that is part of our everyday life. When you talk in a large empty room, you can hear your voice reverberating, re-echoing. To explain in scientific words, every space has its sonic signature. The sound that you produce, moves around in a room, bounces off the surface and gets back to your ears. Before technological developments, reverbs were achieved manually, by placing microphones in a particular order, creating a sound effect (widely used by Pink Floyd). Nowadays we are lucky enough to have devices that let us achieve the same effect with minimal efforts, one of them being reverb pedal. It allows you to sustain without gain, blend the tunes together or make them stand out even more just by adjusting control knobs. 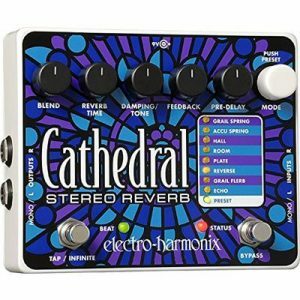 When choosing a reverb pedal, you should pay attention to the delay time, how wet/dry is the sound, the clarity of the tunes and vibrations. Picking out a great reverb pedal can change your play game drastically and become an irreplaceable device on your pedal board. What comes first to your mind when you hear the word “Control”? If you get excited and instantly start reading more carefully, than expression pedal might be a must-have for you. It lets you control your effects. Keep in mind that expression pedal does not connect to the guitar itself, it simply cannot read the signal. But when you plug it in with your effects, it gives you all the power you need. With a click of your foot, you can adjust your sound effects the way you want. 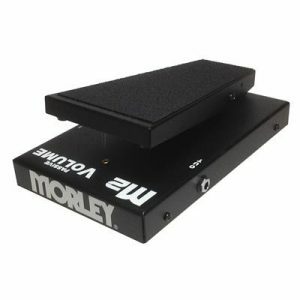 Expression pedal is not for everyone, since it does not alter the sound as much. But you can use it to control the gain when you go from a clean sound to distortion or simply adjust the dynamics of delay times and repeats. When you fall in love with the gear, you can really appreciate its capacity and all the things it allows you to do. 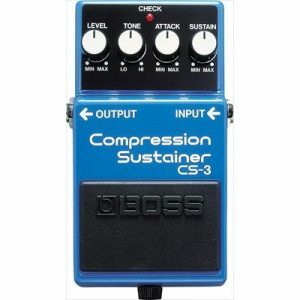 Compressor pedals are generally used to control the volume of the sound and balance it. Every signal that you create will be adjusted by a compressor: if it is too loud, it will soften it up and vice versa, it will not let even the slightest sound stay unnoticeable. Since lower frequencies tend to be overlapped by greater amplitude spikes, a compressor pedal can be a great tool to let those subtle notes stand out. The best part is it does this without messing up the tone, which remains pure and clean. Compressor pedals are best suited for those who want to achieve ideal tones, even during live performances. Moreover, compressor pedals can be used as a boost to your distortion or overdrive, when level knob is turned up and a sustain knob is turned down. Spend a buck on a compressor pedal and you’ll get a quality performance acquired in studios. Equalizer pedal (often called simply an EQ pedal) is often looked down on, as many guitarists consider it as a mere corrector of occasional sound anomalies. 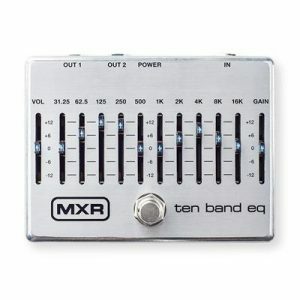 However, equalizer pedal can be an exclusive sound effect device, just like overdrive, delay, distortion pedal and so on. An EQ pedal can work in collaboration with other pedals and can even become a statement piece on your pedalboard. 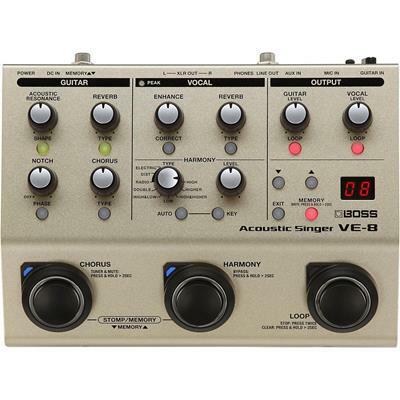 If utilized properly, it can enhance the voice of dirt pedal, taking its sound to a whole new level, or act as a different instrument all at once. EQ pedal has a strong mid-range emphasis that makes leading tones stand out even more. In short, if you are looking for something that can be an addition to your collection of sound effects or you simply want to balance your tunes, equalizer pedals were made for you. 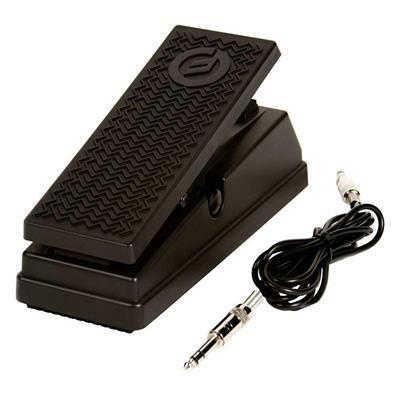 Volume pedal is used to alter the volume of the sound and create outraging dynamics. It can be managed hands-free, unlike guitar volume controls, which makes it easier to concentrate on your performance. However, it may take years of practice before you notice the alterations it makes to the sound. You have to be musically mature to appreciate its value. Nevertheless, volume pedals can decrease signal chain and let you achieve the effects, such as swells. By using this pedal, you can reduce the volume of distortion without changing the quality of the tune. It provides you with great accuracy, making your sound more precise. Volume pedals are great addition to the pedalboard for those who strive for perfection and want to achieve a sound that is as defined as possible. Boost pedal (a.k.a. clean boost) enhances the volume of the sound by increasing the amplitude of the audio signal. Commonly, boost pedals are used during solos to make them stand out and not let them get overlapped by different tones. 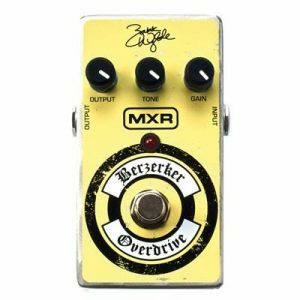 Many musicians reckon that you can achieve the same effect by overdrive pedals and you do not actually need boosters. But technically, boost pedals intensify the output without changing the signal, which makes the sound clearer. What is more, they can be a magical wand for your pedal board. If you have too many pedals, you cannot prevent certain signals from getting lost in the chain. That is where boost pedals can really alter the game. They can also enhance your distortion/overdrive. If you place your boost pedal correctly, trust me, you can get the best out of it and it will definitely improve your sound. Chorus is an audio effect that is created by two sounds coming from the same source merging together. These sounds have a slight variation of pitch but they occur at the same time. This creates denser, thicker sound. In other words, chorus effect copies an audio input signal, slightly changes the pitch of the duplicate and collides it with the original to create a shimmering sound. Just like that, chorus pedals add up different signals to create one, unique tone. They can be used with instruments that give off plain, thin sounds, to make them more interesting and fatten them up a bit. Chorus pedals can be used either with distorted or clean, pure tones. 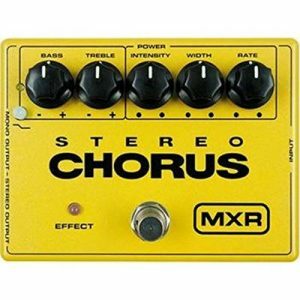 If you are into the sound of 12 string electric guitar or mandolin, but you don’t want to purchase the instruments themselves, chorus pedals will be a life-saver for you. Phaser pedals copy the original signal, change it by shifting the phase of one copy and then merge those signals together. They have sweeping effect, created by filtering fluctuating parts of the frequency range, generating peaks and troughs. 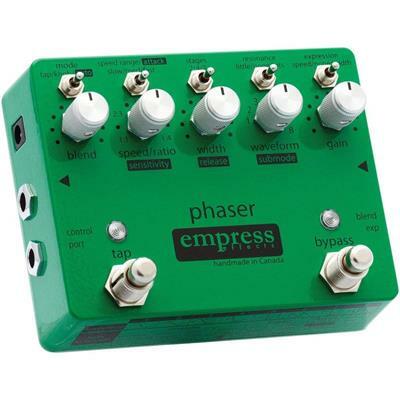 Phaser pedals have a Doppler effect, when used at their maximum capacity. They are generally utilized to thicken the verses and make them more audible or create sustained chords (swells). Phasers became popular when musicians started concentrating on single notes with more emotions, rather than distortion itself. 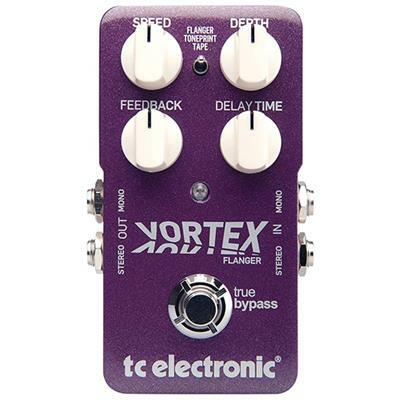 As a modulation pedal, phaser along with chorus and flanger makes up a perfect combination. Flanger pedal is quite similar to chorus and phaser as it duplicates the signal, but the main difference is that one of the copies is delayed in time. It produces notches everywhere along the spectrum, constantly changing the delay time. Flanger pedal creates a sound that resembles a jet engine, which means it is more aggressive compared to those two. Its effect modifies a bigger part of your tone, making it more steeped. Flangers use comb filtering, cancelling out certain frequencies and intensifying the others at the same time, while phasers use all pass filters which limits the distribution of notches in the latter. Nevertheless, flangers create unforgettable signals that add a tinge of individuality to your sound. 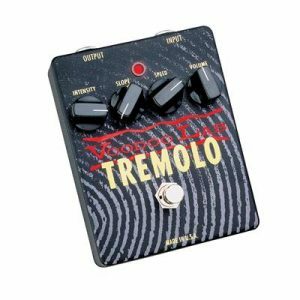 Tremolo pedal is a modulation pedal that changes the sound of your instrument drastically. The difference it makes is so profound that it is often claimed to be one of the essentials. But how exactly does it alter sounds and what is so special about it? In order to explain all of this, let’s discuss the main features it has. 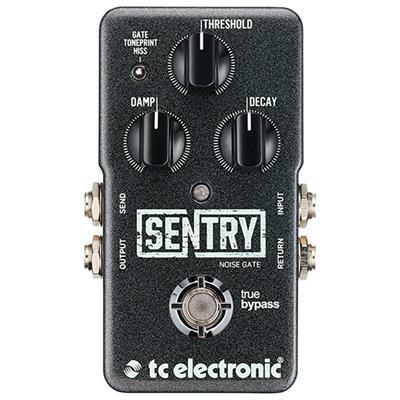 Every basic tremolo pedal has a depth and speed knobs. Depth defines how deep you want the altered signal to be, while the speed determines the frequency at which the effect appears. In general, tremolo pedals create a trembling sound by turning the volume up and down. They are based on waveforms, which can be modified according to the frequency and amplitude. This provides the pedal with a great deal of versatility. Tremolo pedals can really make a statement. Vibrato? Is not that the same as tremolo? These are probably most common questions I get when talking about vibrato effects. Even though they are quite similar, I would say they are more like sisters, rather than twins. Vibrato is a modulation effect that alters the pitch. Rhythm and movement are created due to the cycle of higher and lower pitches. However, tremolo adjusts the amplitude or the volume of the signal. 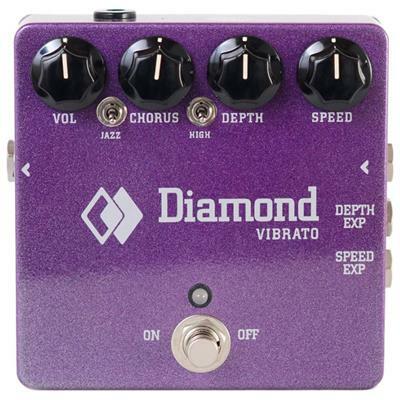 Vibrato pedal makes your tones sound richer and thicker. It can create an effect of jangly guitar without overcomplicating the signal. Vibrato pedal is one of those devices, where you have to find a silver lining. If you use too much of it, you can easily ruin the whole piece. Compared to tremolo, vibrato offers way more flexibility and can add a subtle touch to your sound. By using different combinations you can layer on signals that create unique audio effect in the end. 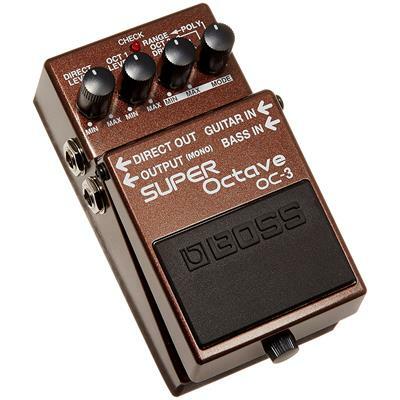 Octave pedal may be the one for adventurous players. It takes the signal from your guitar and alters its pitch, making it an octave higher or lower (depending on what you choose). By layering these signals you can create a sound of bass guitar or an organ. You can even use it along with fuzz pedals to make your tone even fatter. Octave pedals need to have one main feature – tracking. This means that it should be able to detect your tone very carefully. Analog pedals often get confused during this process and create a “warbling” sound, while digital pedals are more flexible and versatile, thus offer more precision. One more thing to keep in mind is the signal chain. If you want your octave effect to really stand out, you should probably place it at the front of your chain. The purer the signal that goes into the pedal, the easier it is for the pedal to notice it. So, if you want to explore new things and sensations, definitely get yourself an octave pedal. 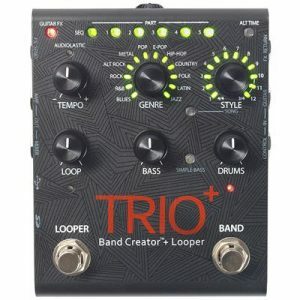 Looper pedal is one of those devices that offer too much to be true. They let you be your own band, create versatile sound effects just by using one instrument. Probably the best example for the usage of looper pedals is the performance of Ed Sheeran. It is as simple as it sounds, you play your piece, while the pedal records it, then plays it back and allows you to record a new section. All these sounds later bland together and create a multidimensional audio. You can create your own performances and save yourself time spent searching for a band, practice your solos or let your creativity flow and write some new songs. Loop pedal is definitely a game changer when it comes to sound effects. Go out there and experiment with such a wide range of sonic possibilities! If you are someone, who loves all his/her essentials in one place, than multi-effects pedal might be just right for you. It combines your favorite musical effects, saving you a lot of space on your pedal board and providing you with ease of access. Multi-effects pedal can combine distortion and overdrive, dynamic effects such as volume and compressor pedals, filter effects such as wah-wah and EQ pedals, chorus, flangers and phasers. All you have left to do is to determine, what sound effects you are looking for in a pedal. 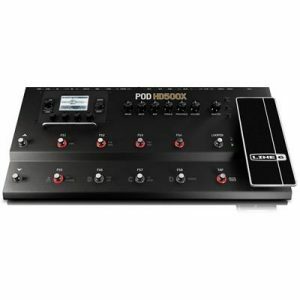 Once you have done that you will have chosen your perfect multi-effects pedal. 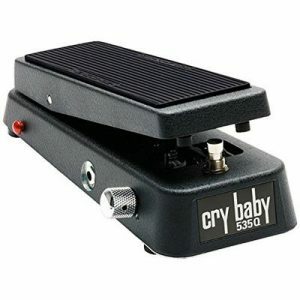 A wah pedal is the type of pedal that creates a sound effect by fluctuating the frequencies of the tones. It generates an outstanding signal that mimics “wah-wah” said by human voice. This pedal controls the tone of the instrument. Just tune in your favorite tracks, such as “Ziggy stardust” by David Bowie or “Whole lotta love” by Led Zeppelin and you will notice this unique sound effect that is even audible by beginners or amateurs. These legendary hits would not be the same without wah pedal. 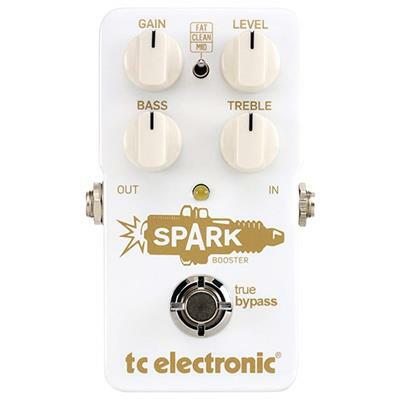 By using sweeping or “parking” techniques, playing with altering frequencies or emphasizing the one you want, you can really get the best out of this pedal. If you want to play “alongside” Jimi Hendrix and create unique musical masterpieces, than wah pedal should definitely be on your what-to-buy list. Noise gate pedal attenuates the hiss or hum (or any other unwanted sound) when it reaches a certain volume. It acts as a sound clarifier, making your tones more pure. Unlike compressors, noise gate pedals set the lower limit for a signal. Even though noise gate pedals are quite difficult to use, once utilized properly, you can achieve a balanced tone. The main thing is to figure out what you want to remove and to what extent. Noise gate can attenuate the sounds that reach 60Hz or the “noises” caused by too much gain from distortion or overdrive pedals. The best way to use it is to place it at the end of your signal chain (if you do not have reverbs). Needless to say that noise gate pedals are not everybody’s cup of tea, but if you get hooked on that clear tones, there is no turning back. If you have ever played a guitar or any other instrument, you are probably familiar with the sound that is just wrong. It takes a lot of time and effort to find a perfect tune for your chords. In case you do not want to go through all this fuss, tuner pedal will be an essential part of your pedal board. It makes sure that every tone you play is perfectly defined. For those who perform on stages, tuner pedal is an absolute necessity. It simply dulls the signal travelling to your amp and allows you to get each note right every single time. 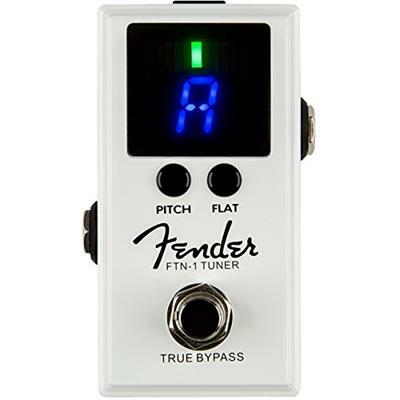 Tuner pedals control the pitch of all the strings on your guitar. Typically, pedal tuners will be more essential for those who play electric or electro acoustic guitars with amplifiers. Nevertheless, nobody wants those vague, dull sounds to be heard. In other words, tuner pedals create a safe place for you, reducing the chance of making mistakes. Acoustic guitar preamps will change your life if you are someone who just loves acoustic instruments and wants to enhance their capabilities. The name itself says it all: preamps amplify the tune of your acoustic guitar. They make it sound louder so that crowds of people can hear it. Preamps can help you generate more natural and clear sound. They intensify the acoustic tone, bringing it out more and adding a touch of warmth. Additionally, acoustic preamps attenuate undesired frequencies and give precision to your tone. Even though whether your acoustic guitar sounds good or bad does not merely depend on preamps, they play an essential role in making it sound right. It can easily be said that preamps are one of the best pedals for your acoustic guitar. Why do we use guitar pedals and sound effects? What is hiding behind all these devices? For me sound effects improve your performance and give it a tinge of perfection we are all secretly striving for. In order to achieve this, it is crucial to sort your pedals correctly. You want to preserve the clarity of the sound, make it more audible and noticeable rather than lose it somewhere in between your pedals. To prevent this from happening, it is advisable to place your compression, wah, octave, overdrive and distortion pedals at the beginning of your chain. Follow them up with some modulation such as chorus, flanger, phaser, tremolo or vibrato pedals. Finish your beautifully sorted chain with some delay and reverb. While an abundance of sound effects can create a unique tone, it can also generate unwanted noise and frequencies. If you want to cancel out all the noise, you should place a noise gate pedal at the end of your chain (only when you do not have reverb and delay). This way your guitar pedals will be well-balanced and will not overlap or overwhelm the sound. But nobody says that you cannot break the rules. As you practice more, you will become more adventurous with your sounds. That’s when all the experiments kick in. Play with your audio effects, choose random ways of sorting your guitar pedals and explore different sonic dimensions. After all, when it comes to music, you can really break free and forget all the limits. Rules are essential at the beginning of your journey, to guide you through this tangled world of sounds. But as you gain more and more experience, you are the one who writes the rules. After all, music, sounds and even their effects come from within. Do you play an acoustic guitar? What kind of sounds do you prefer? Those that are thin but pure or more modified, thickened tones? Do you want it to sound natural? How do you define a unique sound? Depending on how you answer these questions, you can pick out one particular guitar pedal or combine several ones. It is all up to your preferences and taste. Whether you are a beginner or a professional, guitar pedals can be an asset to your performance. The main thing is to find yourself among those different tones and concentrate on your music in various dimensions. In conclusion, we are all lucky to be born in this modern world. As the centuries flow and fade in the past, all we are left with are technologies and the possibilities they provide us with. My advice to you would be to get to know yourself and your music, experiment with different sound effects and when you truly find your unique chords, choosing the best guitar pedals will be a piece of cake for you. The main aim of this article was to provide all the essential information that you will need on that journey. The rest is yours to decide.